So I head into LA this week to attend Summer Fix along with a ton of other riders from all over. If there is anyway you can make it, you really should. On top of the freestyle contest judged by Tracko, LAB and myself, there will be parties, alleycats and fundraisers. Make sure you make it to this! 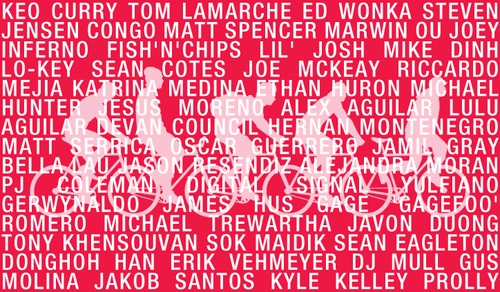 These are just some of the riders that will be there and here’s the schedule of events!